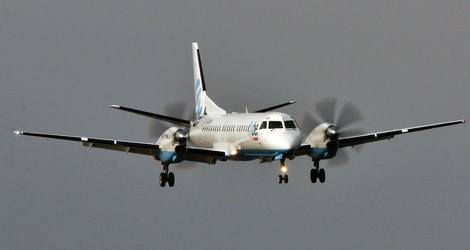 The Loganair flight LM0080 was serviceable with no relevant deferred defects prior to the fight. Weather forecasts for Sumburgh predicted thunderstorms with rain, snow, and hail, and winds gusting up to 60 kt, during the afternoon and early evening. The aircraft and crew operated one uneventful rotation between Aberdeen and Sumburgh and then departed Aberdeen for the third sector, with the commander as pilot flying. The aircraft was loaded with 3,000 kg of fuel, sufficient for the round trip. The fight plan required 1,828 kg of fuel. Runway 27 was in use, the wind was from 290° at 34 kt, gusting to 47 kt, visibility was 4,700 m in heavy rain and snow, and the lowest cloud was FEW at 700 ft AAL, the QNH was 991 hPa. Loganair flight LM0080 was vectored towards an ILS approach to Runway 27. As it established on the base leg, the approach controller informed the fight crew that the visibility was now 3,300 m in moderate rain and snow, and that the runway was wet. The aircraft, in clean configuration, descended to 2,000 ft amsl and established on the localiser approximately 9 nm east of the airport. The aircraft’s weather radar showed a convective cloud cell, ‘painting’ red, immediately west of the airport, and the commander decided to discontinue the approach, informed the controller, and turned the aircraft onto a southerly heading. The autopilot of Loganair flight LM0080 remained engaged with heading select and altitude tracking modes selected. As the aircraft rolled out on the heading, it was struck by lightning, which entered the airframe at the radome and exited at the APU exhaust (in the tail). ‘Ball lightning’ appeared briefly in the forward cabin immediately before the lightning strike. The commander informed the co-pilot that he (the commander) had control of the aircraft and began making noseup pitch inputs, which he augmented with nose-up elevator trim inputs using the pitch trim switches on the control yoke. The co-pilot transmitted a MAYDAY to ATC, and the controller offered the fight crew “all options” for an approach or diversion. The Loganair flight G-LGNO climbed, but the commander perceived that his increasingly aggressive control column inputs did not appear to be having the expected effect. The co-pilot also applied nose-up pitch inputs and pitch trim inputs, but similarly perceived that the aircraft was not responding as expected. Pitch and roll mis-trim indications were presented on the primary fight displays (PFDs) in the form of a ‘P’ and an ‘R’ for the respective condition. Both pilots of Loganair flight LM0080 considered the possibility that they had lost control of the aircraft, perhaps because of a failure of the fly-by-wire elevator controls following the lightning strike. The commander instructed the co-pilot to select the elevator emergency trim switch on the fight deck overhead panel. This was done, but had no effect, as the system had not detected the failure condition necessary to arm the switch. As the aircraft reached 4,000 ft amsl, the pitch attitude tended towards nose-down and a descent began. Invalid data from one of the air data computers then caused the autopilot to disengage. After Loganair flight LM0080 reached 4,000 ft amsl, the aircraft pitched nose-down to a maximum of 19° and the applicable maximum operating speed (VMO) was exceeded by 80 KIAS (330 KIAS) with a peak descent rate of 9,500 ft/min. The aircraft started to climb after reaching a minimum height of 1,100 ft amsl. The pilots maintained nose-up pitch inputs and the aircraft began pitching nose-up. 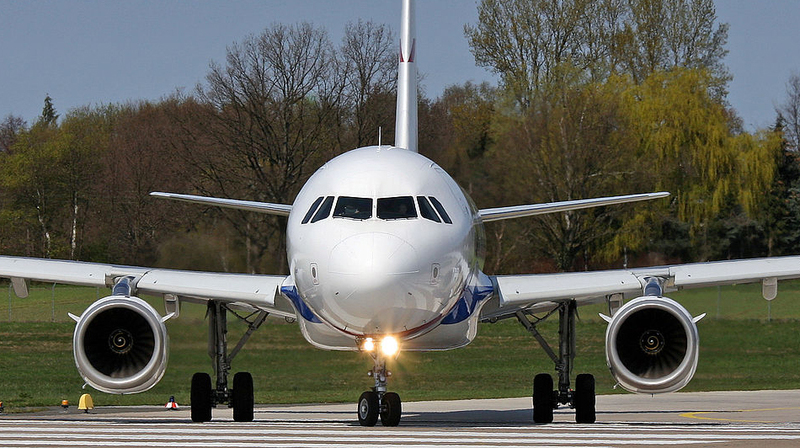 Nearing the minimum height achieved of 1,100 ft amsl, the GPWS – ground proximity warning system – fitted to the aircraft generated ‘sink rate’ and ‘pull up’ warnings. The commander applied full power, and the aircraft began climbing. He was still under the impression that elevator control response was not normal, and instructed the co-pilot to select the pitch control disconnect. The co-pilot queried this instruction, because the pitch control did not appear to be jammed, and the commander selected the disconnect himself. This disconnected the two elevator control systems from each other; each control column remained connected to its respective (on-side) elevator. The climb continued and the aircraft diverted to Aberdeen. 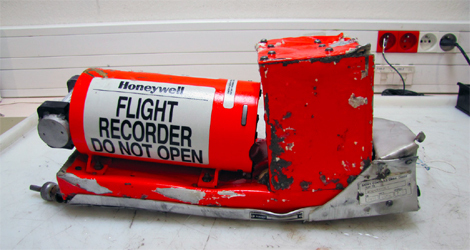 The fight crew ascertained that the aircraft responded to pitch inputs made on either or both control columns. The diversion and landing were uneventful. Analysis of the meteorological data showed that the aircraft was struck by triggered lightning which caused only minor damage. Although the pilots’ actions suggested that they were under the impression the autopilot had disengaged at the moment of the lightning strike, recorded data showed that it had remained engaged. The pilots’ nose-up pitch inputs were countered by the autopilot pitch trim function, which made a prolonged nose-down pitch trim input in an attempt to maintain its altitude tracking function until it disengaged. This accounted for the perception that the control response was not normal.